This 3 bedroom, 2 bath second row beach home will provide you with Absolute Relaxation. Enjoy the beach and your own secluded private pool. Interior renovated in 2010. 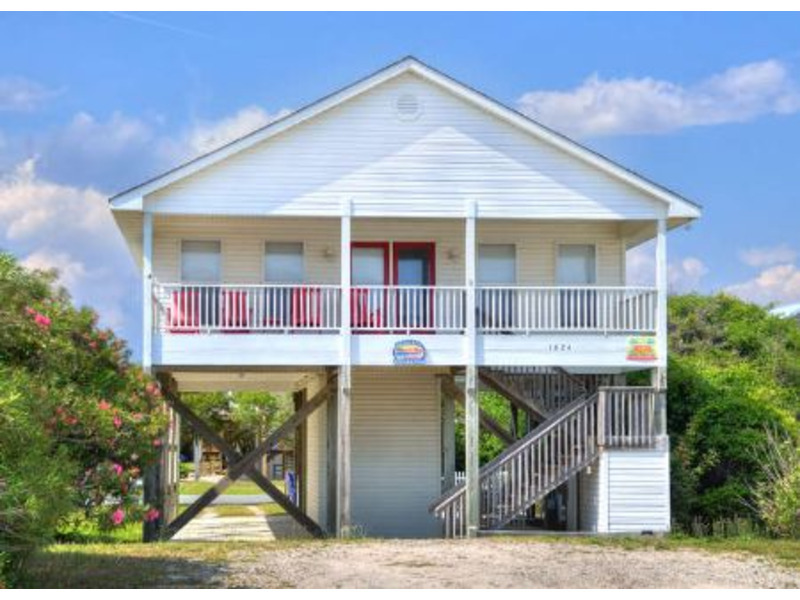 This 3 bedroom, 2 bath second row beach home will provide you with Absolute Relaxation. Enjoy the beach and your own secluded private pool. Interior renovated in 2010. Master bedroom offers king bed with view of the pool, walk-in closet and in suite master bath. Bedroom 2 has a set of full size bunk beds and bedroom 3 has queen bed with balcony. Fully equipped kitchen with granite countertops, pantry and necessary appliances, including dishwasher and garbage disposal. Washer and dryer in hall closet. Home has wireless Internet, central air, ceiling fans, TV's in each room, DVD player in the L/R and kid's room, enclosed hot/cold outdoor shower, and covered parking. Enjoy the ocean view from the rockers on the covered porch. The beach access is a short walk down & across the street. Departure maid services included with a week or more rentals. Linens not included in rental, available for $55 rental fee. To send a reservation request to the manager of "Absolute Relaxation", complete the following form. When you click the "Send Request" button an e-mail will be sent to the manager and a copy will be emailed to you, along with details on how to complete your reservation. I saw Absolute Relaxation advertised on www.RentABeach.com and I am interested in renting. Clicking 'Send Request' will immediately forward this information to the manager of Absolute Relaxation, which is Better Beach Rentals. An email copy of your request will be sent from support@rentabeach.com to the address you provided above.